Sleep is the forgotten component of fitness. Without proper sleep, it is hard to improve fitness and/or sports performance. There is compelling evidence when a client does not get enough sleep and or good quality sleep, he or she can gain weight or have difficulty losing weight. Conversely, we will present four studies showing the dramatic improvement in sports performance when athletes increase the number of hours of sleep per night. The online Merriam-Webster dictionary defines sleep as “the natural periodic suspension of consciousness during which the powers of the body are restored.” For fitness and sports performance, we want sleep to be our best friend, and an important training partner. It could be argued that proper sleep each night improves fitness and sports performance and, to a lesser extent, the exercise and training our clients perform. 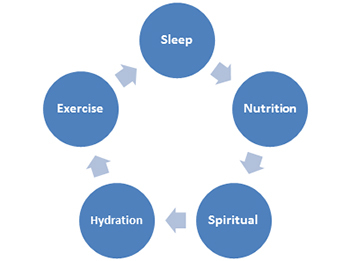 Mah (2010) indicates sleep is an important factor for athletes’ daily training program. Categorize the stages and cycles of sleep and importance of each stage. Evaluate the risks of lack of sleep and/or poor quality sleep as they relate to being overweight. Discuss the benefits of proper sleep for improved fitness, weight loss/weight management, and sports performance. There are five stages of sleep through which we cycle during the night in a pattern called “sleep architecture.” Within the sleep architecture there are 7 cycles of each lasting 1 – 1.5 hours. We start in stage one then move through the other four stages until we go into stage one again, and the cycle continues for the duration of the night. In stage one the body starts to lose muscle tone, the muscles twitch, and there is a loss of self-awareness. Stage two is a light dreamless sleep with a loss of nearly all muscle tone, and brain activity, heart rate, and breathing slow down. Stage three is the beginning of deep sleep and human growth hormone starts to be released. Stage four is the deepest sleep, and is important because it replenishes physical and mental energy. The body does most of its repair work in stages three and four because of the release of human growth hormone. Stage five is also called “Rapid Eye Movement” (REM) sleep because the eyes dart back and forth. Dreaming is done in stage five. Dreaming has been found to be important to healthy brain functioning, providing energy to brain and body, and creation of long-term memories. The arms & legs have periods of paralysis which is thought to protect us from acting out our dreams (National Sleep Foundation). 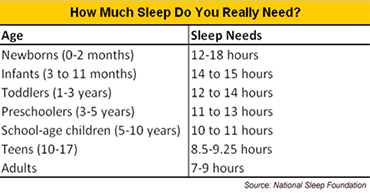 Most adults need seven to nine hours of quality sleep per night. But, most only get around 6.5 hours. Van Cauter et al. (2008) indicate reduced sleep duration and quality are endemic in our society. To understand the significance of getting less sleep, Alhola and Polo-Kantola (2007) found that two hours less sleep per night impairs performance, attention, working memory, long-term memory, and decision-making. Moreover, Roehrs et al. (2003) found eight hour sleepers who got six hours sleep, had impaired performance the same as drinking two to three beers which equates to approximately .05% breath alcohol. They also found four hours of sleep impaired performance the same as drinking five to six beers which equates approximately to a .10% breath alcohol. As this relates to our fitness clients, it is difficult to improve fitness when experiencing the symptoms of poor sleep. Reduced sleep time has been linked to an increased risk of being overweight or obese. Chronic poor sleep, or a lack of sleep, increases signals to the brain to eat, and decreases signals telling the brain that enough food has been eaten (Markwald at al., 2013). When we get less sleep the hormone cortisol increases which can increase cravings for high fat “comfort” foods. Poor sleep also decreases levels of leptin, a satiety-promoting hormone (gives the feeling of being satisfied after eating), and increases levels of ghrelin, an appetite-promoting hormone (Markwald et al., 2013). Van Cauter et al., (2008) indicates that lack of sleep plays a role in hormone release, glucose regulation and cardiovascular function, as well as being a risk factor for obesity and type 2 diabetes. Spivey (2010) indicates shorter sleep is correlated with the incidence of obesity, hypertension, and other metabolic disorders. In Patel and Hu’s (2008) meta-analysis they found when comparing adults who got four hours of sleep per night compared to adults getting ten hours over a period of two days, both hunger and appetite scores on a visual analog scale were higher in the four hour sleepers. They also found the increased appetite was for high fat and high carbohydrate foods. These appetite scores corresponded with elevations in ghrelin and reductions in leptin. Patel and Hu (2008) published a meta-analysis looking at sleep duration and excess weight. They report the published literature supports an association between sleep duration and weight gain. In the thirteen pediatric studies analyzed, the results indicate short sleep duration was positively associated with increased weight. Interestingly, the data suggest the relationship between sleep duration and weight may weaken with age. The adverse effect of decreased sleep duration and weight gain and obesity is most profound in children and younger adults. One of the issues affecting kids who get less sleep is they may not have the energy to be physically active. This is demonstrated in studies with children who get less sleep watching more TV and do not participate in organized sports as much (von Kries R. et al., 2002 & Locard E. et al., 1992). The same appears to be true in adults, with sleep deprived nurses being less physical activity (Patel et al., 2006). Because of the release of human growth hormone in stages 3 and 4, sleep is referred to as “The Athletes Steroid.” Human growth hormone helps maintain and repair muscle and cells and is key to improving fitness and sports performance (McArdle & Katch, 2001). Improved fitness is a balance of many factors. Research on the effect of getting more sleep is done by testing athletes on sports performance when they are getting their normal amount of sleep (seven to eight hours), then increasing their sleep to nine to ten hours. After six to seven weeks the athletes are tested again. In one of the most recent sleep/sports performance studies, Schwartz and Simon (2015) studied seven female and five male college tennis players. The researchers wanted to see if serving accuracy improved after getting more sleep. In fact, serving accuracy improved by 6.10% which was statistically significant. Mah et al. (2011) looked at the effect of getting more sleep on eleven male college basketball players who were tested on an agility sprint test (baseline to half-court and back to baseline, then to full-court and back to baseline), free throws out of ten, 3-point field goals out of fifteen, and a self-rating of performance during and after practices and games. After getting more sleep the players improved agility sprint by 0.07 seconds, free throws by 0.9, 3-point field goals by 1.4, and self-rating (1 – 10) during/after practices improved 6.9 to 8.8, and self-rating during/after games improved 7.8 to 8.8. Mah et al. (2010) studied seven Stanford University football players. They were tested on 20-yard shuttle run, 40-yard dash, and daytime sleepiness and fatigue. Shuttle run time decreased by 0.10 seconds and 40-yard dash time decreased by 0.10 seconds. Daytime sleepiness and fatigue scores also decreased significantly, while vigor scores significantly improved. Mah et al. (2008) studied college swimmers who were tested on 15-meter sprint time, reaction time off start blocks, turn time, and number of kick strokes. After getting more sleep the swimmers improved their performance accordingly: 15-meter sprint = 0.51 seconds faster, reaction off start blocks = 0.15 seconds quicker, turn time = 0.10 seconds faster, and kick strokes increased by 5.0 kicks. Samuels (2009) indicates there is an important relationship between physical recovery during sleep and a client’s ability to train at maximum capacity with optimal results. With human growth hormone being secreted in stages three and four it is important to pay attention to sleep time and quality of sleep. In conclusion, when clients do not get enough sleep they can suffer the consequences of increased hormones that promote appetite and the craving for high fat foods. Moreover, there is evidence that kids and adults who do not get enough sleep spend more time watching TV and less time playing sports. However, when clients do get enough sleep, the same as the athletes in studies where they had ten hours of sleep, sports and fitness performance can be dramatically improved. McKardle, W. Katch, F. & Katch, W. (2001). 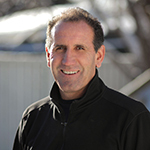 Exercise Physiology: Energy, Nutrition, and Human Performance. Baltimore, Lippincott, Williams, & Wilkens. Patel, S.R. & Hu, F.B. (2008). Short sleep duration and weight gain: a systematic review, Obesity (Silver Spring), 16(3): 643–653. Roehrs, T. et al. (2003). Ethanol and sleep loss: a "dose" comparison of impairing effects. Sleep. 2003 Dec 15;26(8):981-5.